what is your karma? (daily hot! quote) – AmyJalapeño! Another reason logic is needed to propel oneself past your current thoughts and actions. This is a call to use emotions to one’s advantage – to do everything, anything to feel differently, including one’s imagination. There’s nothing logical about it, or at least that’s not what I meant by the post. Maybe you meant something different…? 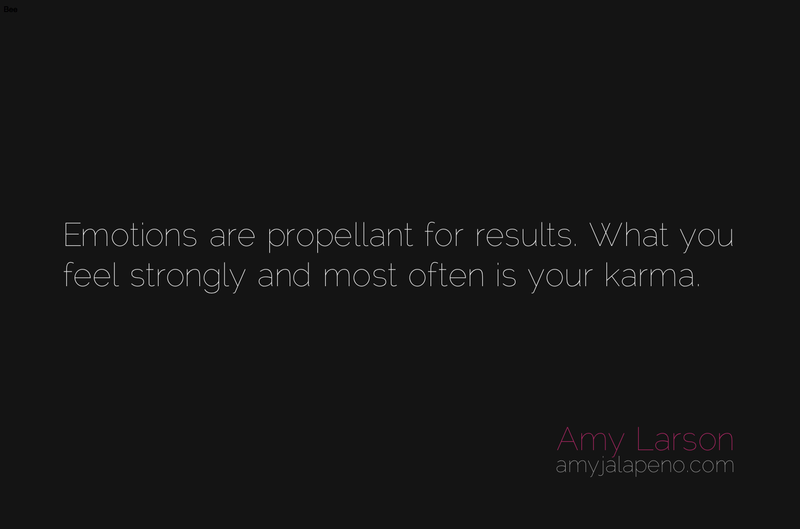 Merely agreeing with you Amy but our processes may differ. My emotions are tied closely to my logical processes and at times even overlap a little. To do everything to feel differently is what I was referring to but I know I am an odd duck ( if I may barrow your phrase.. ) That is why I commented on my re-bog instead of commenting on your post directly.